Japanese car maker Toyota has developed Japan’s first leisure craft with a parallel hybrid system and will conduct a feasibility study from July 2018 to March 2021 in Tokyo. 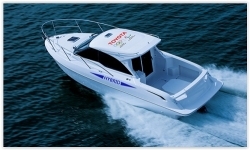 Specifically, Toyota will loan its hybrid PONAM-28V model to the Tokyo metropolitan government. In addition to its use for the maintenance of piers and other port facilities at the Port of Tokyo, PONAM-28V will be used for visits to Tokyo 2020 Olympic and Paralympic Games venues along the Tokyo Bay waterfront, as well as for canal tours at the Port of Tokyo. PONAM-28V features a 3-litre internal combustion engine alongside a 36kW electric motor paired with an 11kWh lithium-ion battery pack. The internal combustion engine provides 256hp, and the electric motor provides 48hp and 347Nm of torque. 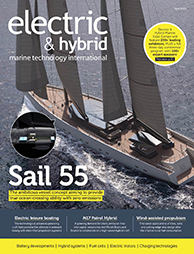 The Tokyo metropolitan government will provide the hybrid boat’s operational data to Toyota to help validate the overall performance of the hybrid system and to verify the convenience and improvement areas of hybrid boats.